This is Goodliffe's own story. 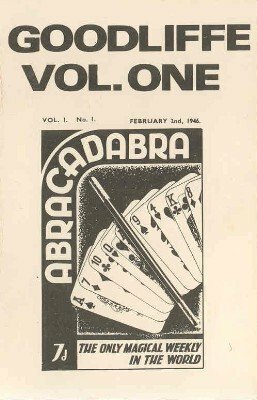 The facts and stories about Abracadabra from the man behind it all. Goodliffe has seen more magicians at work than anyone else and he has very clear views about what makes magic tick. Now that Goodliffe is no longer with us this is your only chance to hear Goodliffe speaking. Absolutely fascinating material.